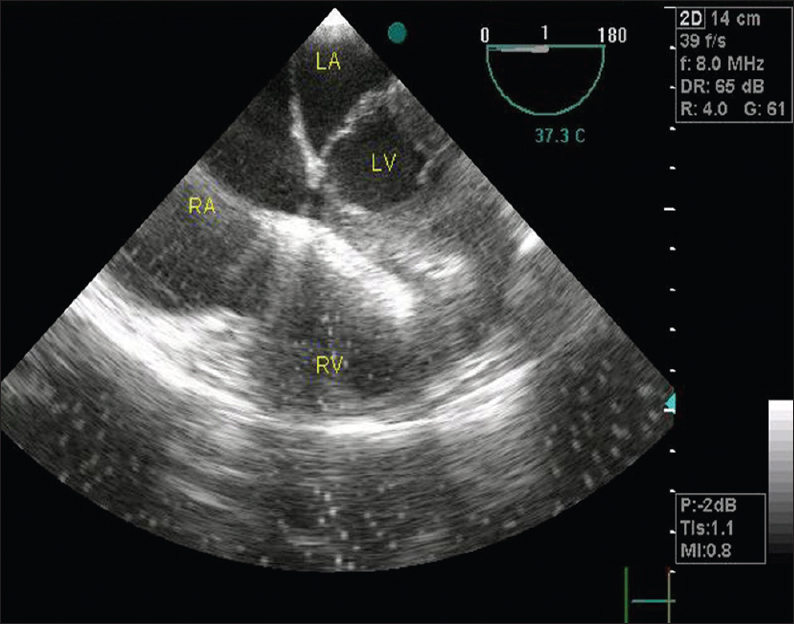 A 40-year-old male patient presented with shortness of breath. 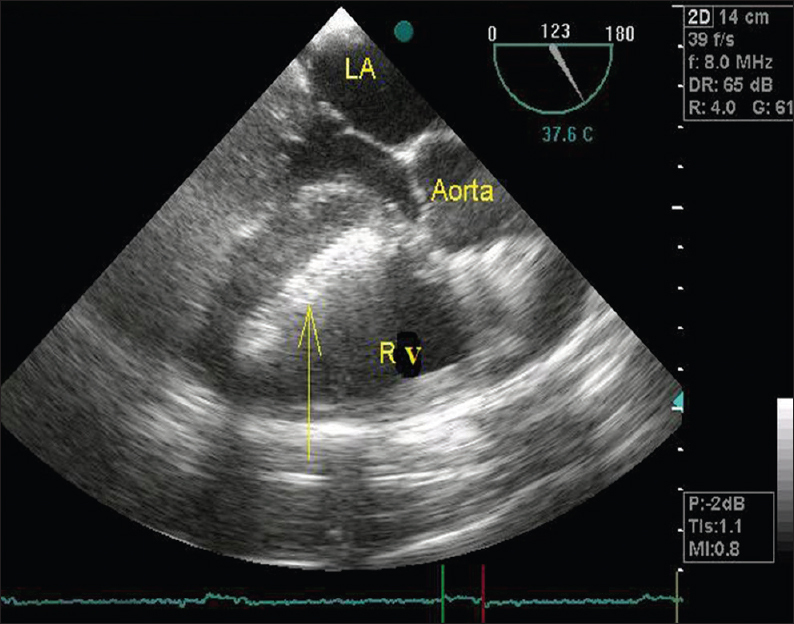 Transthoracic echocardiography showed ostium secondum atrial septal defect (ASD) with left-to-right shunt. ASD defect size was 34 mm with superior and inferior rim of 10-mm each. 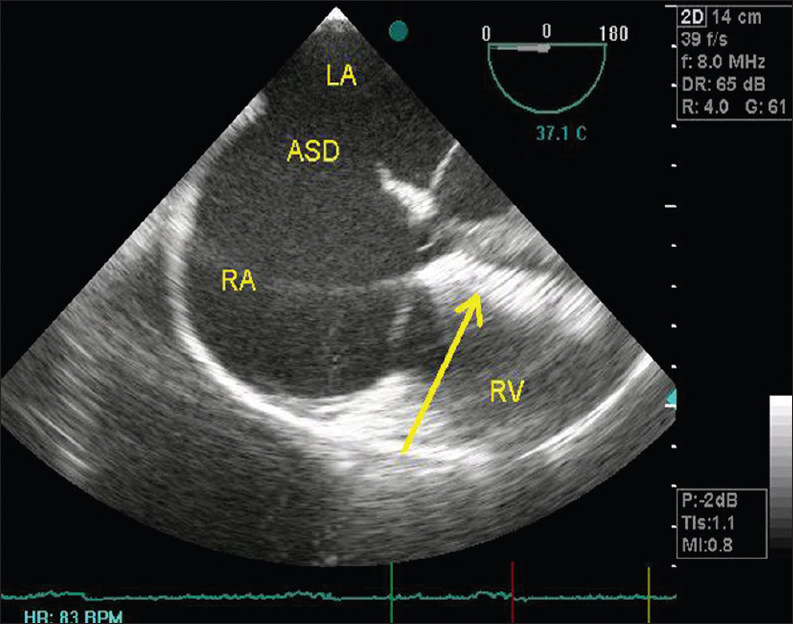 In cardiac cath lab, patient was scheduled for ASD device closure. 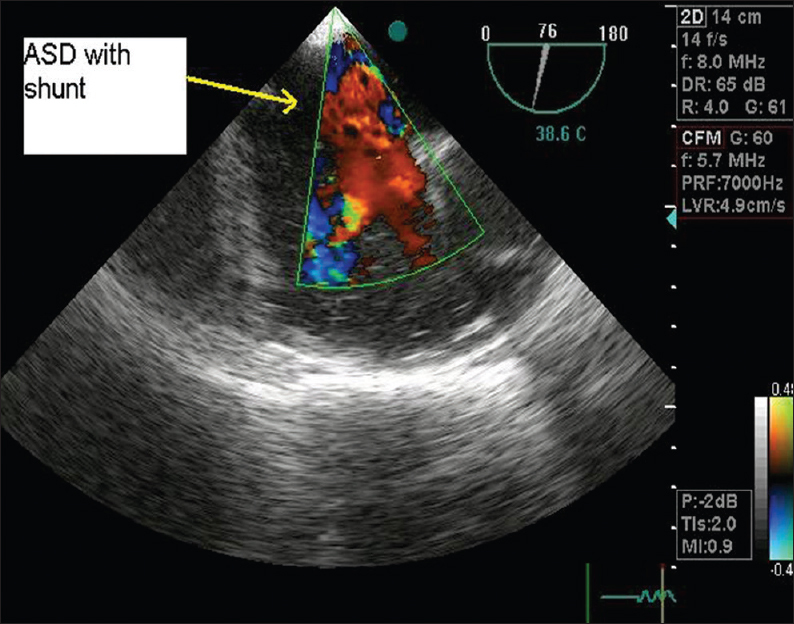 While deploying and positioning the left atrial disc, the device got embolized to right ventricle,it could be seen on fluroscopy Patient's hemodynamics were stable. 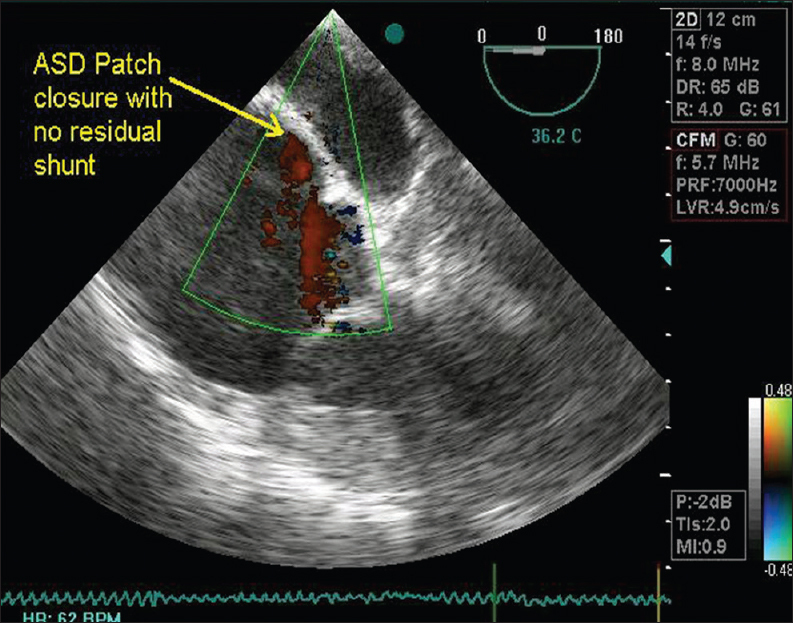 Considering the risk of further migration of the device, patient underwent emergent surgical removal of device and ASD closure by pericardial patch. 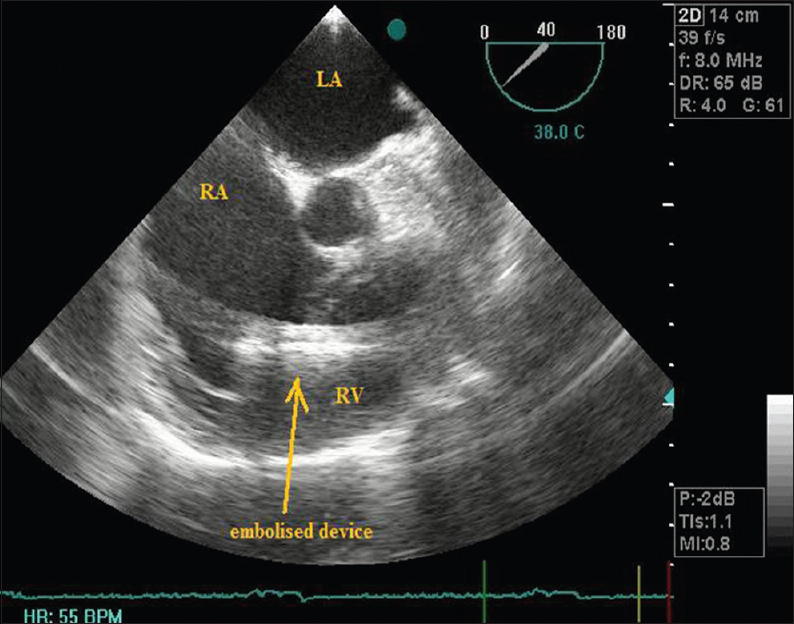 Intraoperative transesophageal echocardiogram (TEE) revealed ASD and device in RV [Figure 1], [Figure 2], [Figure 3], [Figure 4], [Figure 5], [Figure 6]. The incidence of device embolization is reported to be about 0.5% in experienced hands, with successful percutaneous retrieval being reported in approximately 70% of the cases  . In the present case, emergent surgical retrieval of device was done before any further complication.